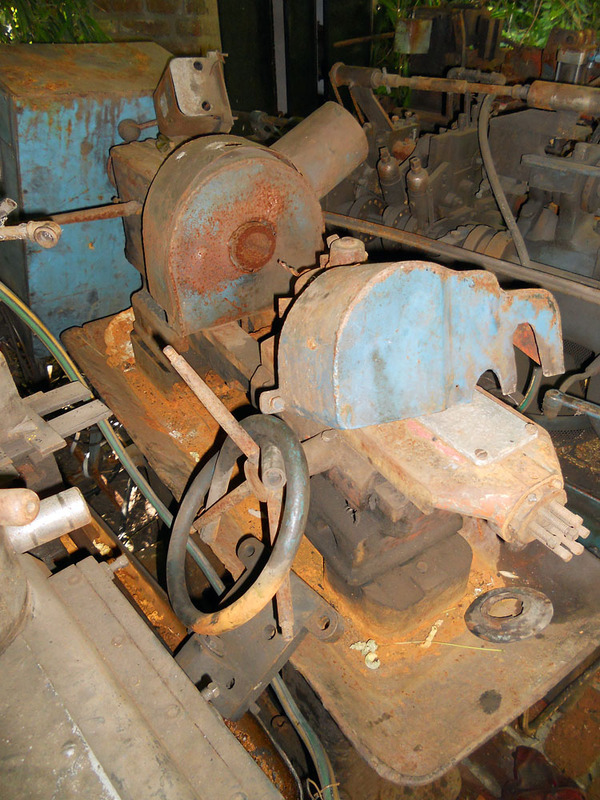 This small capstan lathe was salvaged from certain doom, a lot of old machinery ends up sold as scrap metal — If you can avoid it and salvage at least one, do it. They’re well worth it. 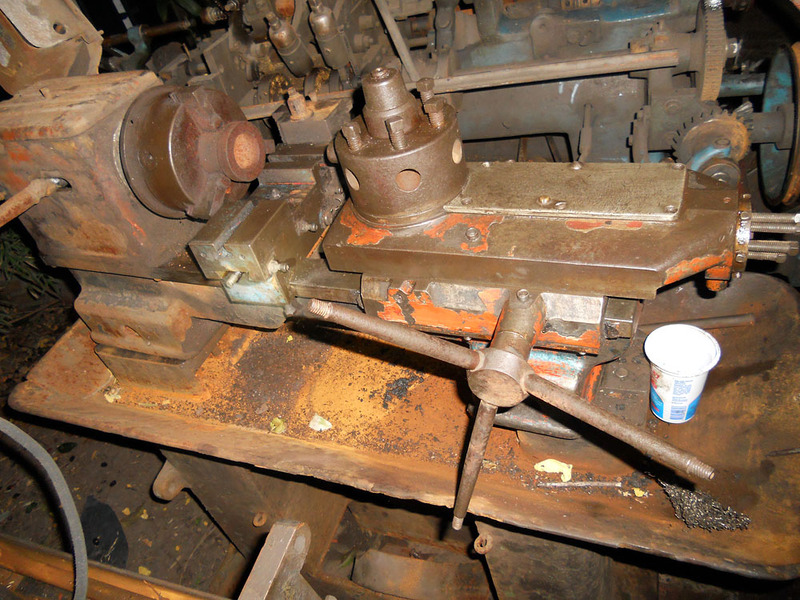 First stages of restoration, initial coat of primer (still wet), ways cleaned up some and spindle / bearings removed, along with turret and slide leaving just the headstock mounted to the bed. Remove all non standard parts, this includes the fume hood and other sheet metal parts that were fitted at the previous factory. 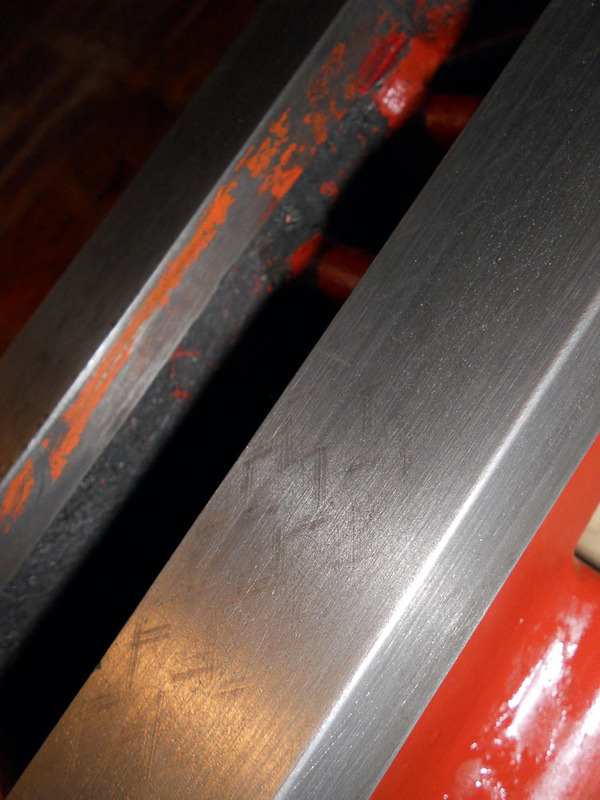 Upon removal of the sheet metal parts, I noticed a small 3 jaw chuck was fitted to the spindle — Unsurprisingly it was stuck, but we had to remove it and take it apart anyway as part of the restoration, so we’ll put that aside for now. A few missing parts reveal themselves, mainly the X positioning for the slide was missing (no rack, no pinion, no handle). 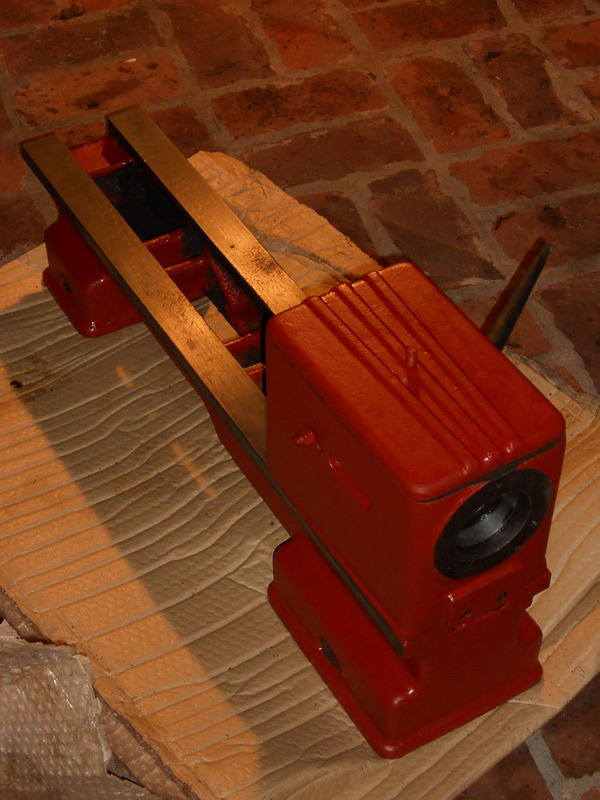 The slide was missing the handle and the push mechanism, no motor, only a single cast iron pulley, no collet chuck. The turret was stuck, no surprise there. Water did get inside at one point in time. What’s worse than a machine in bad condition, rusty, dirty, beat up?, a machine that is also missing one or more vital parts of it’s internal mechanism! 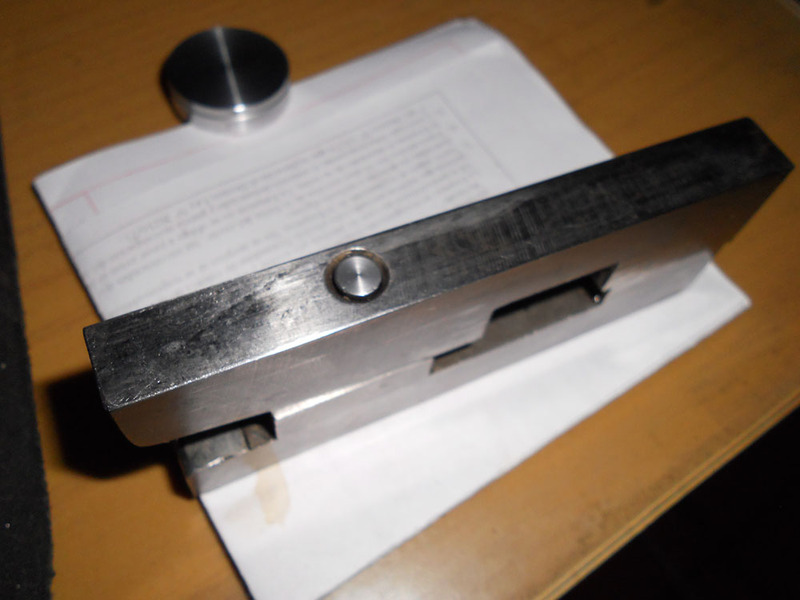 I was missing the lock trigger for the turret, this was a huge setback because I have never seen the part, I couldn’t find information anywhere, everyone I asked had no clue or they’ve worked on different capstan lathes, with similar but not-quite-the-same lock mechanism, so I was out of luck! 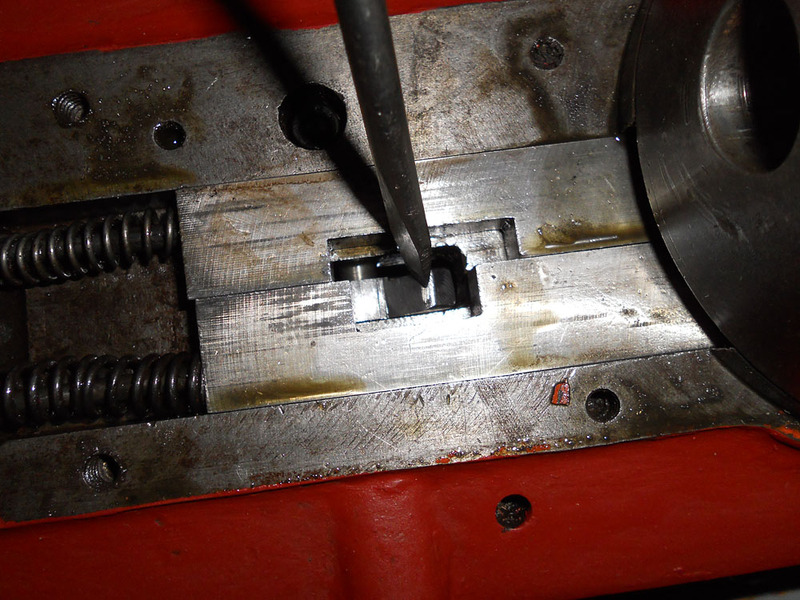 Decided to go full-on CSI on the lathe, I noticed a horizontal shaft where the trigger may have been pivoting on, I also noticed a wear mark on a stop block underneath, this gave me the depth of the missing part … Now I was “just” missing the geometry of the part. 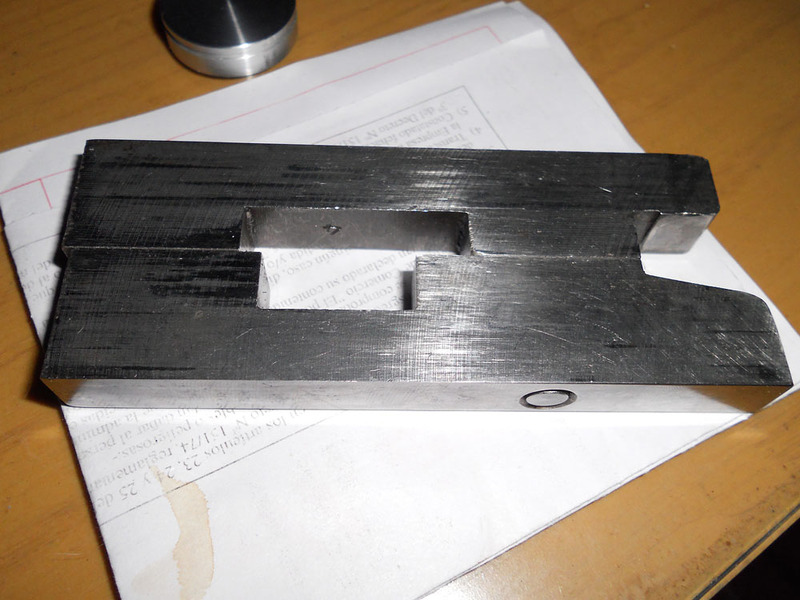 Started with a rectangular piece of flat stock, steel (unknown alloy from the scrap bin, but with relatively high carbon content based on how it machined) — Marked the height for the pivoting hole — using an informed guess — Center punched, spotted and drilled it, then reamed it up to size. I dyed the blank trigger, fit it inside the shaft and attempted to run a cycle on the capstan, it gets stuck (not a surprise there) — But this is good news, now we have transferred onto the dye where it hit. 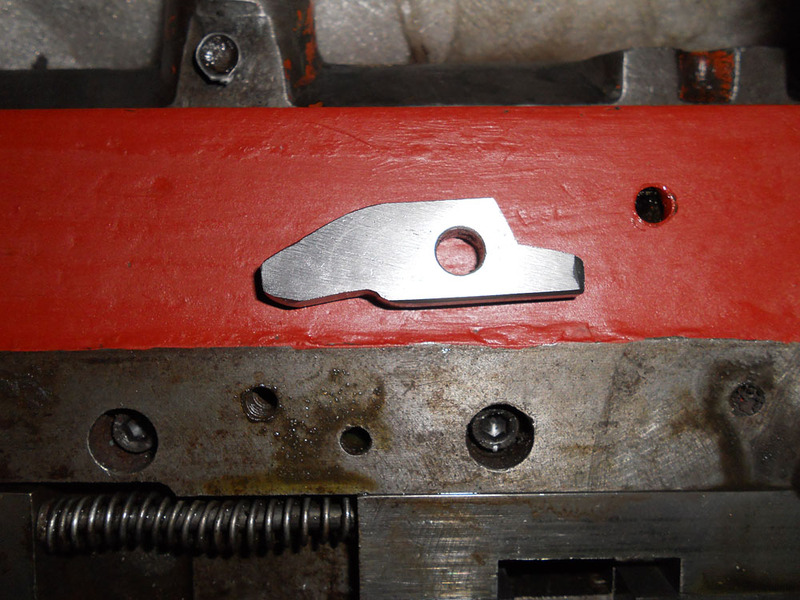 After several iterations or removing the part, grinding away some material, dying, fitting it, cycling, etc. I managed to get a full cycle going, success! The trigger installed, using a screwdriver to push it back for the picture. 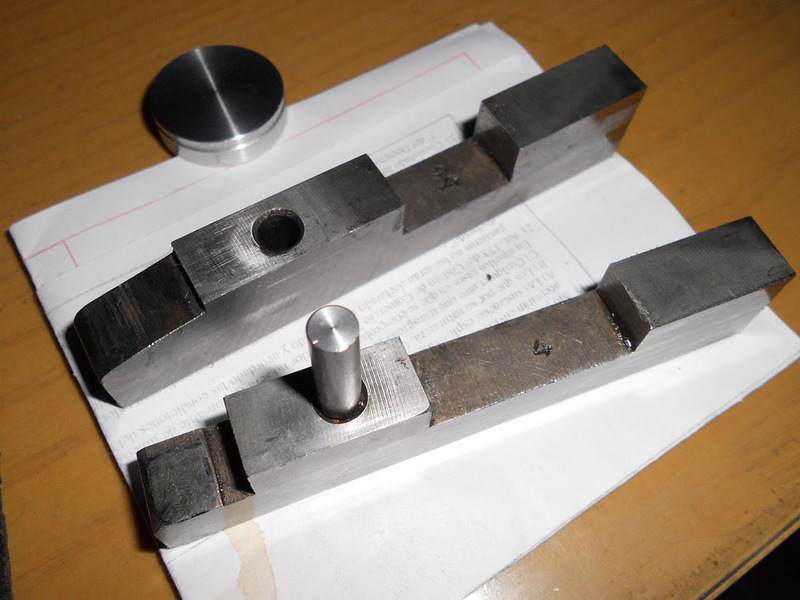 However the locks were not working properly, a closer inspection showed a missing locating pin that would’ve locked both parts together, I machined one out of SAE1010 1/4″ round stock, should be plenty good for this application. Locating pin pressed onto one of the locks, it slides into the other. Now the turret cycles properly, it just needs to be fine-tuned so it doesn’t over-spin, failing to lock automatically on every cycle (requiring the usual “hand nudge” on old, tired lathes that aren’t setup properly). The lathe is functional in the turret department at last, most of the remaining work on the turret will be to clean up threads chasing them with taps and other basic tasks such as priming and painting. Focus is now on the spindle, carriage and chuck. Toolposts will be required. So how did it look like when I got it? Most of the oil scrape marks are still there!